(BBC): A court in Switzerland has upheld the appeal of a man who was fined for rambling naked. The court in Trogen ruled that the naked hiking did not amount to "indecent behaviour". A prosecutor was quoted as saying the ruling should not be seen as giving blanket permission for people to walk naked in the area. The case was the first since the eastern Swiss canton of Appenzell allowed naked hikers to be fined. Appenzell has become a popular destination for those who like to hike without clothes, but many locals are unhappy about the trend. 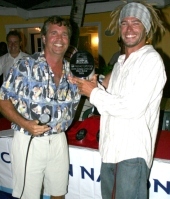 (CNS): Winning first place in the Local (non professional) Cooks category in the Little Cayman Sister Islands Cook-Off, Mike Vallee sliced and diced a growing pest to Cayman Islands’ reefs and served it up as an entrée, “Spicy Lionfish Tacos”. Though their spines are venomous, the Red Lionfish flesh is good eating and, like many organisation around the Caribbean trying to keep the numbers if these fish down, the Department of Environment (DoE) is promoting the fact that they can be eaten. For anyone wondering how to best to serve them, CNS has included a section in our Classifieds for Lionfish Recipes, and invites everyone to share recipes or tips. To upload recipes, go to www.CNSclassifieds.com and click on “Post your Free Ad Here”. To start the ball rolling, head chef at the Little Cayman Beach Resort, Chef Anthony Pizzarello, has contributed three recipes: Ginger-tempura lionfish with wasabi-chili tartar sauce and sweet soy, ‘Corn-dusted lionfish BLT wrap with chipotle mayonnaise’, ‘Petite spinach salad and sherry-honey lime vinaigrette’, and ‘Caribbean tamarind glazed lionfish with tropical fruit chutney and smoked paprika basmati rice’, which can all be found in Lionfish Recipes. The Department of Environment has been taking steps to control the rapid growth of the Red Lionfish since the first one was spotted in February 2008 in Little Cayman. Native to Pacific waters, Red Lionfish are beautiful but they are ravenous eating machines that reproduce very quickly and present a real threat to the Atlantic eco-systems, where they are increasingly prevalent. They have no known predators in local waters – except humans, so efforts to control this invasive and destructive species include educating the public, with a series of awareness seminars (the next one is this Saturday, 29 May, at the Elmslie Memorial Church Hall, George Town) and training divers how to catch them. Because they have venomous spines which can cause painful wounds in humans, untrained divers are encouraged not to catch them themselves but to report sightings to the DoE at 949-8469, or Grand Cayman – Mark (916-4271), Little Cayman – Keith (916-7021), Cayman Brac – Robert (926-2342). Because following Hurricane Paloma there were few divers in the waters of Cayman Brac, that island is the most infested, Johnson said. A small groupof residents and all the dive staff from Reef Divers are licensed to catch the lionfish but the DoE needs more help and Johnson said they would be doing more to promote the problem on the island this summer. Because the lionfish found their way to Little Cayman and the Brac before they were seen around Grand Cayman the Sister Islands are slightly ahead in terms of size and abundance of fish, Johnson noted. “Grand Cayman has the most cullers by far and we’re always having training courses and generating interest in it." He said the Brac and Little Cayman have about 30 cullers each. For more information about the invasive Red Lionfish, go to the DoE website. (CNS): Jamaican security officials continued to clear blockades with bulldozers set up by the followers of suspected drug lord Christopher "Dudus" Coke to block his stronghold of Tivoli Gardens, on Friday. At least 73 people have now been killed in the battle between security forces and the armed supporters of Coke — and allegations continue that the death toll is far higher. On the fifth day of urban violence, sections of the capital remained under a state of emergency and the search continued for the man who is wanted by the US authorities on drug-trafficking and gun-running charges.Former Prime Minister Edward Seaga has criticized the current government for not protecting residents of Tivoli Coke’s stronghold, arguing that the fighting had caused widespread suffering. Seaga has called on government officials to lift the lockdown so trapped residents have access to food and medication. Seaga, the former leader of the Jamaica Labour Party (JLP) and Member of Parliament for West Kingston is calling for the resignation of his successor, Prime Minister Bruce Golding. According to the Jamaica Observer the man who built the community of Tivoli Gardens, has accused Golding of mismanaging the United States extradition request for Coke and described the security operation as an atrocity. The Jamaican police have renewed their appeal for Coke who has still not been apprehended to give himself up. The Jamaican Observer reported that police had gone to premises in the upscale community of Kirkland Heights in upper St Andrew yesterday after they gained intelligence that Coke was hiding out there. Coke was not there but police reportedly shot and killed Keith Clarke, the brother of former People’s National Party member of Parliament Claude Clarke. 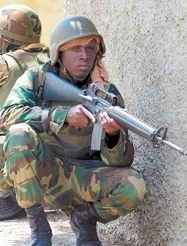 Four Jamaica Defence Force soldiers were injured during the operation and the Bureau of Special Investigations is probing the incident. (CNS): Government has said it now plans to bring its 2010-2011 budget to the Legislative Assembly on 15 June, two weeks later than the premier had announced at the last press briefing. The expected earnings and proposed spending plans of the UDP government have been submitted to the UK, and the new overseas territories minister is said to be making a decision regarding the Cayman government’s borrowing requirement. Although government has not revealed the figure, estimates are that government will need to borrow over $200 million in order to complete existing projects, commence a number of new capital works and plug the deficit of around $50million from the 2009/10 budget. According to a joint statement from the premier and the governor, the throne speech is expected to take place on 15 June and the debate on the budget itself, which will be followed by the Finance Committee meeting, will commence on 18 June. 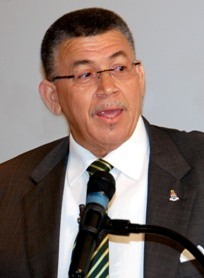 McKeeva Bush had said at his most recent press conference that he hoped to bring the budget by the end of May but the delay, he now says, is down to the need to meet the new Overseas Territories Minister, Henry Bellingham, to gain approval for the significant borrowing which Cayman will need for 2010/11. Bush is now scheduled to meet with the Parliamentary Under Secretary of State responsible for Overseas Territories on 8 June 2010. “If an agreement has not already been reached by then the Premier will use this meeting to seek this approval,” the joint statement said. Government must have the budget approved and the appropriation law passed by 30 June in order for it to carry on its business at the start of the new fiscal year on 1 July. “The Legislative Assembly will work extended hoursuntil the budget is passed to ensure that an appropriation law is in place by 30 June 2010,” Bush said. As the minster of finance, Bush has warned that he will be “doing things differently” from the way proceedings have been conducted in the past when he takes over as the chair of the Finance Committee. The full details of the forthcoming budget have not yet been revealed but it is understood there are no new direct taxes proposed. Government appears to be facing a $47 million deficit from core government spending and around $2.5 from government companies. As a result, the deficit is estimated to be almost $50 million, in contrast to the $5 milllion surplus that had been predicted by government when it brought the full 2009/10 budget in October. The deficit appears to have been caused as a result of continuing declining revenues, despite increases in duty, work permit fees and several business fees impose in the last budget. Government’s predicted earnings are estimated at some $77 million less than had been forecast. (CNS): Twenty-six year old Raziel Omar Jeffers, who has already been charged with one count of murder for the killing of Damian Ming in West Bay in March, is the man police have now charged with the murder of Marcus Ebanks (20) (left) and the attempted murder of Adryan Powell also in West Bay. Jeffers appeared in court yesterday to face his second murder and attempted murder charges. Authorities say Jeffers and another masked gunman jumped from the bushes on Bonaventure Lane and began firing at seven young men. Ebanks was killed and two others were wounded, including Powell, who was only 14 at the time and who is now paralysed as a result of the incident, along with Roy Ebanks who was 18 on the night of the shooting. News 27 reports that attorney Ben Tonner of Samson McGrath is representing Jeffers and his client will appear in court next month for preliminary enquiries for both of the murder and attempted murder charges he faces. 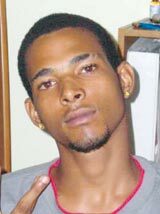 Damian Ming (29), who was shot and killed on Birch Tree Hill Road in West Bay on Thursday, 25 March at around 9:45 pm, was the second person to be shot in a twenty four hour period of gang related killings in West Bay. Both Adryan and Marcus’ mothers spoke to the TV station about their ordeals and how they felt about Jeffers’ arrest. (CNS): Cable & Wireless Communications (formerly Cable and Wireless International) revealed its first financial results since its demerger from the telecoms group in London yesterday. Seeking to reassure investors Tony Rice, Chief Executive said the company had delivered a good result in what has been a difficult period for all telecommunications companies around the world. He said the planned dividend of 8 cents for 2010-11 was a "base" from which it should rise. The reported revenue of $2.4bn for the year to March 31 was down 4 per cent from last year but revenue fell 10 per cent in the Caribbean region. Rice said the businesses were “positioned for the future” as the company had leading positions in attractive markets. 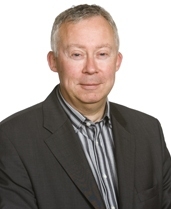 Tim Pennington, the firm’s Chief Financial Officer of said it had been both a bust and challenging year. At the press conference in London Rice said it was too early to say if revenue growth would return this year. The firm recommended a final dividend of 3.34 per share as indicated in the demerger prospectus.